The 2018 BONJ Summer Music Festival Cabaret celebrates the great songs of the period from 1945-1964. The Golden Age of Broadway will be reflected in songs from West Side Story, Candide, The Music Man, and My Fair Lady. There were great songs from films as well—such as Moon River from Breakfast at Tiffany's. There were unforgettable songs in the pop, country, folk, and early rock-&-roll era. Don't miss the fun. Join us for an evening of great music by BONJ singers and special guests. We will provide light refreshments. You are welcome to bring what you wish to enjoy before and during the show. 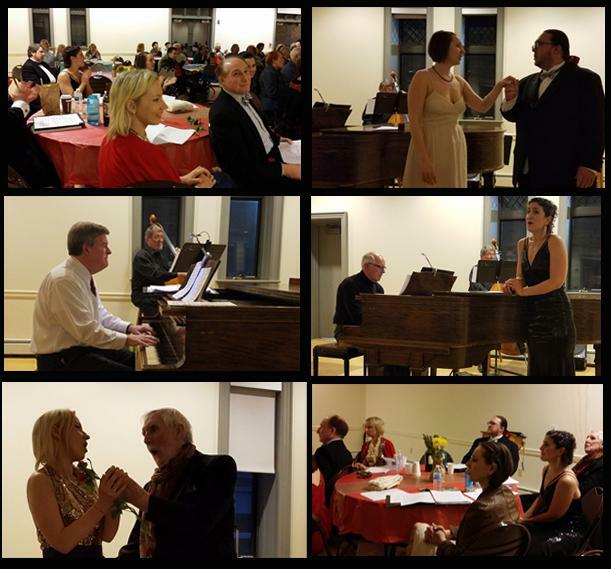 Singers include Timothy Maureen Cole, Maria Alu, Kevin Peters, Don Sheasley, and making her cabaret debut YuJung Bae representing the New York Classical Music Society. Pianist John Pivarnik will be the accompanist. Pianist J. Scott Sommerer will also play a few jazz standards.